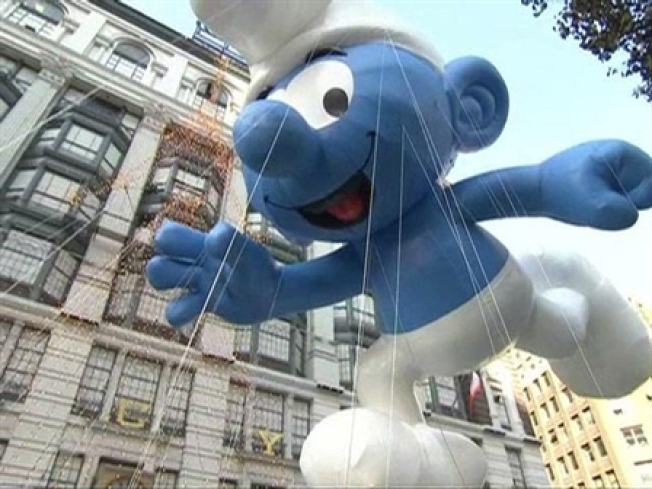 If you are old enough to remember a world where computers didn't exist, then you probably remember the Smurfs, a lovable bunch of blue creatures who lived in mushrooms and dabbled in magic. Well the guy who helped bring the Smurfs to U.S. audiences lives in Aventura and he's been feeling the blues lately. Stuart R. Ross pleaded guilty in August to attempted grand larceny, admitting he tried to extort $11 million from his son-in-law by threatening to destroy his son-in-law's professional reputation and offering to give up access to Ross' grandchildren. But now Ross is having a change of heart and his attorney says he might change his plea and fight the charges. If Ross, 73, went along with the deal, he was promised probation by a judge, but he also had to attend alcohol-abuse and psychiatric programs. Now he risks seven years in prison if convicted. According to his attorneys, the powers that be took advantage of Ross' failing health and he had no choice but to agree to the plea deal. Apparently getting out of jail free sounded like a a smurftastic idea at the time, but somewhere along the line Ross had a change of heart. "He had tremendous medical issues going on at that time," attorney Matthew Myers said of Ross while he was jailed on $200,000 bond as he awaited trial. "We just wanted to get him out of jail." Ross admitted to trying to shake down David Blitzer, an executive at the financial services firm The Blackstone Group LP. He threatened to drag his son-in-law's name through the mud, a la the Smurfs arch-nemesis Gargamel, if he didn't give up the green. For now, Ross is continuing to negotiate potential probation conditions with prosecutors, Myers said. Ross is due back in a Manhattan court Nov. 1. Ross, of Aventura, owned certain rights to the Smurfs years ago, according to civil court papers filed by Ross and his son-in-law. Ross says he bought North American rights to the sky-blue, gnome-like characters after seeing them in their native Belgium in 1976. The cartoon creatures rocketed to fame in a 1980s TV series made by the animation powerhouse Hanna-Barbera Productions. Now a CGI film about the walking, talking, singing, dancing gnomes is set to hit the big screen and anew generation will be exposed to the Smurfs. Meanwhile Ross is broke and probably wishing he had Smurfette's shoulder to cry on.